From the excellent 2018 Mazda CX-9 safety ratings to its driver assist features like the adaptive front-lighting system, this midsize crossover SUV offers the kind of security that drivers in West Columbia are looking for. Find out more about Mazda safety with this guide to Mazda CX-9 safety features. The 2018 Mazda CX-9 earned a Top Safety Pick from the IIHS, including the best score of “Good” in every major area of crashworthiness. If there’s a vehicle in your blind spot or about to enter your blind spot, this standard driver assistance feature lets you know with an audible and visual cue. This feature helps you see better around a corner when you’re taking a curve by angling the headlamps up to 15 degrees in the direction of your steering wheel. The innovative SKYACTIV® TECHNOLOGY suite is known for improving performance and efficiency, but it also keeps Columbia area drivers safer with features like the precise steering of SKYACTIV®-VEHICLE DYNAMICS with G-Vectoring Control. 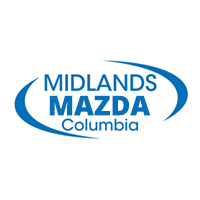 Check out our Mazda CX-9 Inventory in person at Midlands Mazda, and then check out our financing and lease offers so you can start improving your Irmo drive today. See how the Mazda CX-9 performance features can improve your commute!